Bride and groom sunset photo taken in Richland Wa behind Yokes up on the hill. This was a gorgeous evening to capture these amazing photos of Kali & Andrew on their wedding. We left their venue the Red Lion hotel in Richland Wa just in time to catch the sun before it went down. I love moments like this as a wedding photogrpaher in the Tri Cites we have the best sunsets. 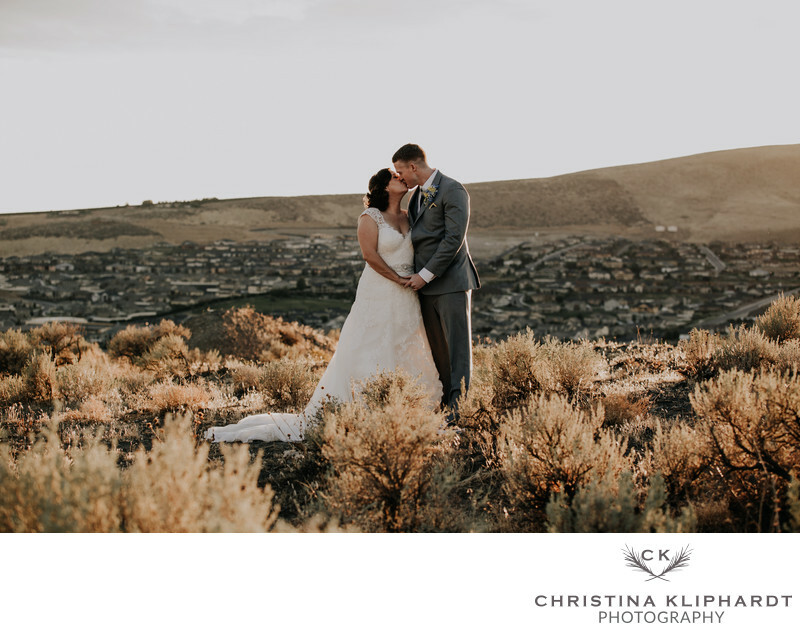 I met Kali & Andrew after Kali's mom whom I worked with at Kadlec Hospital recommend me to be their wedding photographer. We met at Starbucks in Richland and I knew then that it would be one of the best weddings I would get to photograph. I went home super excited about shooting their big day and being a part of such a beautiful moment in their lives.